In December 2014, the City of Ashland adopted a resolution to become a BEE CITY USA. In 2018, Bee City USA® Renewed Ashland, Oregon’s Certification. This tour is so popular, we added an extra day! Each Tour day will feature different locations, with hosts in their gardens to welcome guests and answer questions. Pick up your Tour booklet (with maps for each day) at the North Mountain Park Nature Center. Carpooling is highly encouraged. Wear appropriate apparel for walking in the sun, and bring a water bottle. Bathrooms will not be available at the Tour sites. Registration opens in early May. Please register online or call the NMP Nature Center at 541-488-6606. Do you own a local business? Help us celebrate the "Bee" in business. We invite you to create a promotional offering for our 3rd annual Pollinator Garden Tour. Get featured in our Tour booklet and give people a reason to visit your business on June 29th and 30th! Follow these links to LEARN MORE or SIGN UP! Do you or a friend have a garden that pollinators love? Consider nominating it and bee recognized! Our Approved Pollinator Garden program encourages homeowners, businesses, schools, organizations, farmers and gardeners to create pollinator habitats. 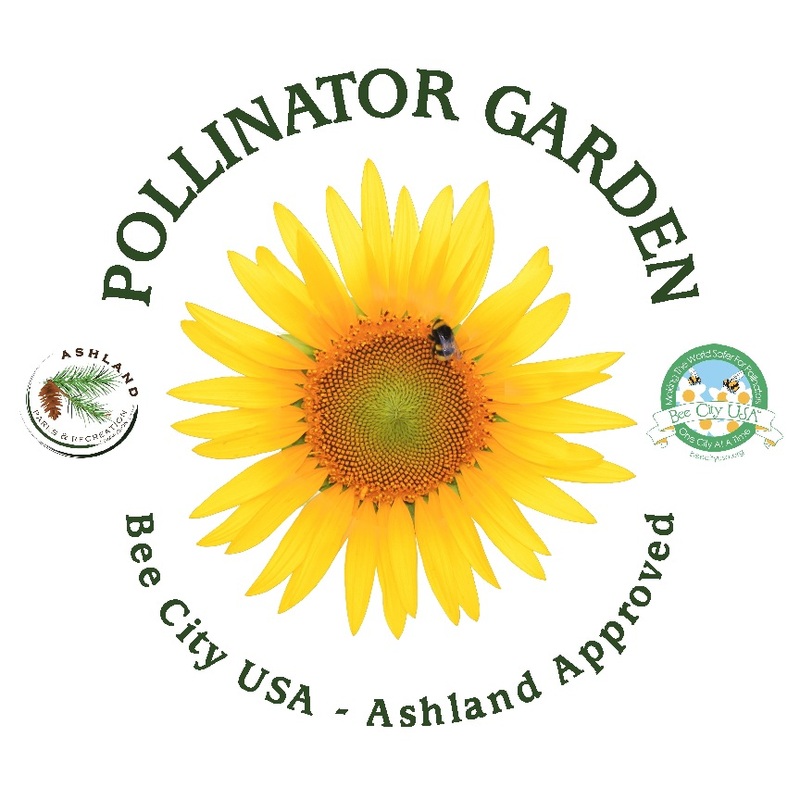 Qualifying gardens will be recognized with a Bee City USA-Ashland garden sign and will have the opportunity to be included in Ashland’s Pollinator Garden tour map. Do you want to have your pollinator garden recognized? Fill out the pollinator garden nomination form. ​More information about the subcommittee the members responsibilities. The City acknowledges the importance of pollinators to healthy ecosystems, as well as to agriculture and the local economy. Considering the dramatic declines in pollinator populations around the globe, Ashland commits to supporting bees and other pollinators on both public and private land. In order to enhance understanding among staff and the public about the vital role that pollinators play, and what each of us can do to sustain them, the City of Ashland agrees to establish and maintain a BEE CITY USA Subcommittee, comprised of one Parks & Recreation Commissioner, one Staff Liaison and at least three citizens. The Subcommittee holds quarterly public meetings at N MT Park Nature Center, 620 North Mountain Ave. in Ashland. Members of the public are invited to attend and/or bring suggestions on ways to make Ashland more pollinator friendly. • ​​Rogue Basin Native Plant List - via Ashland's Community Development ​Dept.